We at Dove Hearing know how difficult it is if you are suffering from hearing loss which is why we are delighted to tell you that our hearing centre based in Hanley offers a completely free hearing test. One of our hearing aid audiologists will perform a range of hearing tests to determine what the best course of action for you to take is. Free of charge, the hearing test will help you find a solution to any problems you are suffering from. 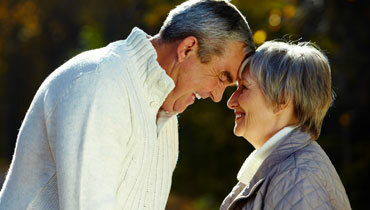 Hearing loss is something that happens to the majority of adults with varying severity at some point in their lives. It can range from severe to mild but having a hearing test lets you get on top of your problems. It is sometimes hard to spot in yourself but if there are certainly a few questions you should ask yourself. For example, do you struggle to hear in noisy places? Can you easily follow conversations in a group? Do you often ask people to repeat themselves? Answering yes to any of these could be a sign of hearing loss. It is never too early or too late to have a hearing test no matter the severity of your problem. You may not necessarily need a hearing aid or have a condition but it is always recommended that you get a hearing test if you even suspect your hearing is impaired or in decline. Getting your hearing test in Hanley may be the most important decision you ever make. If you have any further queries or would like to book a hearing test in Hanley then please do not hesitate to get in touch with us. Alternatively, you can call into one of our hearing centres based across Stoke-on-Trent and Staffordshire to have a chat with one our friendly consultants who will be happy to assist you.